All funds raised from the 2019 cycle will be used to support the project in partnership with The Palestine Children’s Relief Fund. For more details on the project click here. Complete instructions for setting up a page, personalising it and joining the C4G Fundraising team can be found here – NEON Account Instructions. PLEASE MAKE SURE YOU JOIN THE C4G TEAM AS INSTRUCTED ABOVE. Here are some ideas to help you get sponsorship and set you on your way to raising plenty of funds. We are happy to provide literature, flyers and other media for sending out with letters that you write asking for sponsorship, displaying at events you organize or carrying with you when asking for donations. Your friends and family should be the starting point of your fundraising. Because they know you personally, there is an instant connection to your cause. Don’t forget to ask everyone you know: family, friends, colleagues, old school friends. Remember, if you don’t ask, you don’t get! Most people will give to charity but only when asked. If people cannot afford to donate money, they may be willing to donate their time and energy- by helping you plan an event, for example. Do not feel guilty about asking people for money! This is a challenge from beginning to end: raising money for charity, training and preparing in the run up to the event and finally completing the physical challenge… you deserve support. These will be well-known donors who often give to charity, e.g. banks, national companies, smaller companies, local authorities and local newspapers. Offer them something in return for their donation, such as wearing their company thirst to take pictures at the finish line. We can provide you with a corporate sponsorship package that you can use as material to attract these donors. Remember that these organisations will be the first to be contacted by most fundraisers so try and make our cause sound unique. Always write a letter to a named person and follow up your letter with a phone call. Do your background research first. You need to be able to explain exactly what you are doing, who you are raising money for and how that money is going to help the charity. If you are unclear about anything, we are happy to help. As well as a monetary donations, you can also ask them to donate a raffle prize, or provide any resources you may need for an event you have planned (food and drink, for example). In the past, we have had donors sponsor our ‘last supper’ at our cycling destination. These are the surprise donors who are not connected to you but who may still help your fundraising. They may come through one of your friends and family or be someone you have never met. The method of fundraising from ‘usual donors’ applies to these individuals and groups, and we emphasize that it is best to know about the ins and outs of the cycle, the cause, and the practicalities of sending the funds raised into Gaza in order to be prepared for questions. Legitimacy is a key aspect in tipping peoples’ pockets in our favour. – After a verbal conversation, be sure to send what you discussed in writing in a letter that explains your cause, specifies your donation request (and amount if possible) and most importantly – the impact their donation will have. – Be specific and unique – let them know in numbers and facts how many children you will be helping through the various programs we support. – Offer them something in return, whether you make stickers with logos for your water bottles / bikes or have them printed on your t-shirts or other cycling gear – or maybe its just a shout-out through your various social media activities. – Don’t forget to send a written thank you/acknowledgement letter for their records. – We will provide you with a presentation for corporate sponsors which explains more about our mission for C4G, this year’s challenge, and the project we are supporting. Make your fundraising cause known to as many people as possible: the more people you know, the more money you will raise. – Word of mouth: this is one of the best ways to make your cause known. Tell everyone you can think of what you are doing and try to get all your friends and family to do the same. – Posters and flyers: these are a cheap and simple way to publicise your cause and any events you are organising. Display them everywhere you can think of, particularly gyms and the workplace. – Radio and press: local press are often interested in covering stories of people within their area, especially if it is about something out of the ordinary. Send them a press release about what you are doing or a fundraising event that you are organising. Remember – in any publicity you do, make sure you mention how people can donate to your cause or find out more about what you are doing. One of the easiest ways for people to donate is online. This provides a quick, easy and secure way for local and international communities to donate money online. The money donated here is paid directly to the project. You can set up your own fundraising page in a few minutes (NEON Account Instructions). Personalize it with a photo and message about what you are doing and why, and don’t forget to link it to your social media outlets! You can also update people with your progress and automatically send them a “thank you” email for their donation. I. Sporting events: Such as team sport charity football tournament. Charity ‘workout’ or fitness event. Crossfit branches have often created workouts for charity that participants pay to enter. Contact local gyms for support. II. Seasonal events: Summer BBQ or picnic: plan a sunny afternoon and charge people to come. III. Sales and stalls: Empty your cupboards, ask your friends to do the same, and attend a car boot sale. Think if there is anything you could sell at a craft fair or bake sale, or arrange your own! IV. Night-time events: Film screening: find a venue (at a university, a café etc) that would be willing to donate a space for the night. Screen a film relevant to the cause, and charge people at the door. This year’s Oscar-nominated ‘Omar’ would be relevant, as would last year’s Oscar-nominated ‘Five Broken Cameras’. Quiz evening (Pub Quiz): ask your local pub or a café or restaurant if they would donate the venue for a quiz night. Teams can pay to enter and win donated prizes. Live music night: organize a live band and charge an entry fee. Dinner: ask a local restaurant to support you in holding a fundraising dinner. Charge a certain amount per head, a percentage of which goes to the restaurant, and the remainder towards your fundraising. V. Sponsored events: Sponsored head-shaving or beard can attract a crowd, or give up smoking and get sponsored for it. – Plan the timing and venue of the event carefully- people are busy working during the week. – Consider location of the venue and whether it is accessible. The more accessible, the more likely people will step slightly out of their routine to support your cause. – Don’t try and do everything yourself- friends and family can help you plan the event. – Make sure you plan something that requires low expenses so that you can raise as much money as possible. – Make sure all your friends and family tell everyone they know. Set up an event on Facebook and invite your networks to join. Put up posters everywhere. – Make sure you have volunteers to help you. – Ensure you have buckets with the charity’s stickers placed clearly on them so people know where to give their money. – Ensure you have change readily available. 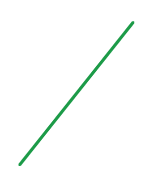 – Make it clear what the event is in aid of- get some materials to show people where their money is going. Corporate sponsorship provides vital support for various initiatives such as ours. 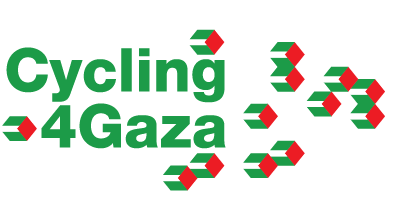 If you are interested in being a corporate sponsor or securing a corporate sponsor, please click the following link for more information on the current packages available – Cycling4Gaza Corporate Pack 2019. Corporate sponsorship packages can be personalized upon request.